Expanded metals are being put to new uses in highly technical products. 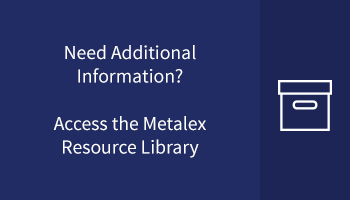 Metalex is an industry-leading manufacturer of expanded metals, a revolutionary product capable of being fabricated in a virtually endless variety of patterns, sizes, and applications. Countless industries depend on expanded metal to serve numerous mission critical specifications and requirements while significantly reducing cost and providing improved strength, flexibility, and weight reduction. At Metalex, we are constantly developing smaller and more consistent patterns for numerous industry demands for tighter and more precise requirements for diamond pattern, hole size, thickness, and workability. Micro mesh features superior heat transfer characteristics; it can be made acoustically neutral for such applications as dent guards in audio speakers, or flattened for reduced thickness and a smoother surface. Micro mesh is designed to be non-testing, which allow you to wrap it on itself without losing air flow capability. Micro mesh is also annealed for improved formability, and coated with either metallic or organic compounds. As with the light and small mesh varieties of expanded metal, Metalex micro mesh is highly versatile and reliable for almost any application. Common patterns of micro mesh include .055” X .105”, .070” X .150”, and .145” X .295”. Metalex micro mesh expanded metal products are available in a variety of diamond size parameters. Short Way of Diamond (SWD) includes sizes ranging from .005” X .118”; Long Way of Diamond (LWD) sizes are available in .039” X .236”; and Strand Width micro mesh is available in sizes of .005” X .079”. Micro mesh can be made in a diversity of materials from carbon steel, stainless steel, copper, and aluminum. In addition to audio speakers, they can also be used in ceiling panels, air filtration, and machine guards, where their superior strength and versatile size lead to improved performance at minimal cost. .055" X .105" 090" X .165" .070" X .105" .095" X .187"
.070" X .150" .145" X .295" .085" X .142" .167" X .295"
LONG WAY OF DIAMOND (LWD) .039" TO .236"
STRAND WIDTH .005" TO .079"
CARBON STEEL .010" TO .039"
STAINLESS STEEL .010" TO .024"